Arista Homes, DECO Homes, Fieldgate Homes, OPUS homes, and Paradise Developments are opening their sales centres during the week and on weekends leading up to the April 6th grand opening. The pre-purchase info sessions are your opportunity to learn everything you need to know to buy a new home at New Kleinburg. You’ll be able to review available floor plans, get a closer look at the site plan and available lots, browse the features and finishes, and there are sales representatives on hand to answer any questions you may have. Keep in mind, sales will open on April 6th at 10 am. You will NOT be able to buy your new home at New Kleinburg during the pre-purchase info sessions. We really like that the builders are doing something like this. It will help the grand opening event go much smoother because many of the attendees will already know which home they are buying and they will be prepared with necessary deposit cheques and ID. Those who do not attend the pre-purchase info sessions will be attending the grand opening without the details that some of the other homebuyers will have, so there’s the chance you could lose out on your desired lot by missing the info session! New Kleinburg is located near Major Mackenzie Dr. and Nashville Rd., a few minutes from the sales centres. The collection of homes is the latest phase of the highly successful Impressions community that many families have already decided to call home. We actually heard that there are a few families already living in Impressions that are hoping to buy at New Kleinburg because they love the neighbourhood and want to invest in it with other family members. 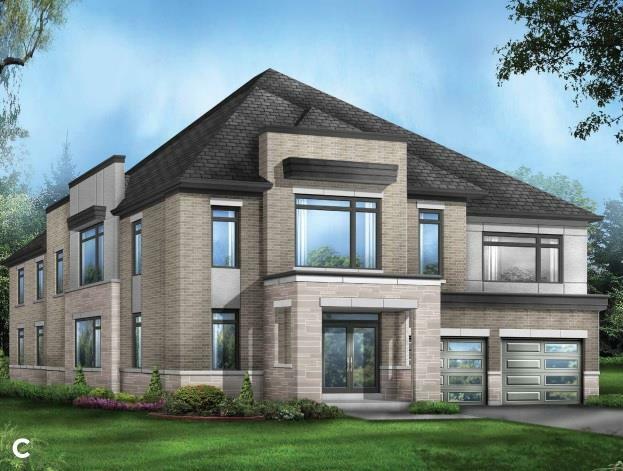 New Kleinburg features 30’ detached homes starting from the mid $800,000s, as well as 38’ and 44’ detached homes starting in the mid $900,000s. The pre-purchase info sessions are an amazing opportunity to get all the details you need to make a purchasing decision at New Kleinburg. The best strategy for buying the home you want the most is to be as prepared as possible for the grand opening! The sales centres are located at Hwy 27 and Major Mackenzie Dr. West. Visit Monday to Thursday from 1 pm to 8 pm or on the weekend from 11 am to 6 pm.